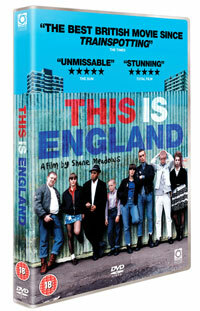 We have just received the full confirmed details of the DVD reissue of Shane Meadows’ This Is England, the much talked-about movie about growing up in the north of England – and as part of the 80s skinhead movement. It should retail for around £19.99 (although Amazon are already heavily discounting for pre-orders). And if you want to see more from the same director, a Shane Meadows box set will also be released around the same time. Check out on HMV website. They are currently doing this on preorder with limited fold out sleeve.